There are better places to spend time on a cold, muddy Colorado morning than outside of a sand quarry. 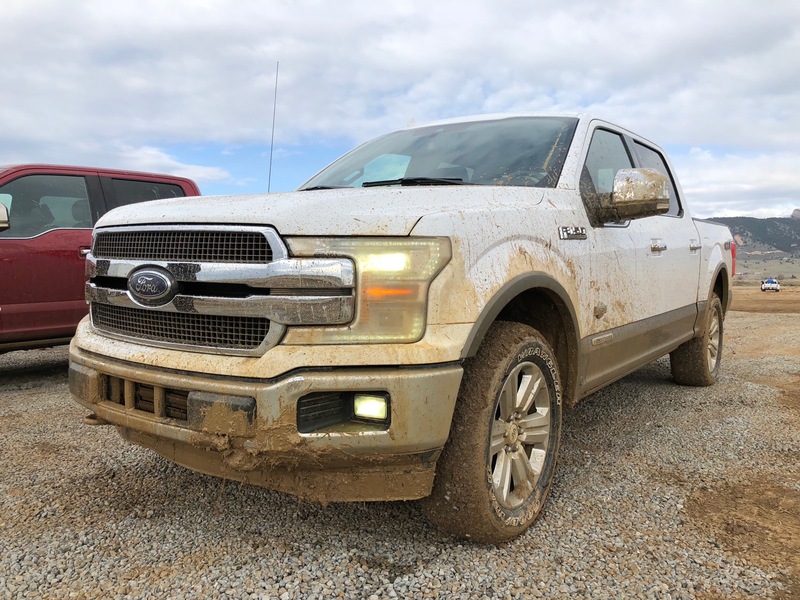 However, Ford assembled a rather formidable off-road course for the 2018 F-150 diesel. A setup that seemed more fit for an F-150 Raptor than an a more pedestrian variant of the F-Series. But Ford was confident in the ability of its new half-ton diesel truck, and we walked away as believers with a better understanding of what “Ford Tough” means. Articulated ruts, logs, 30 percent grades up steep mud, and tightened rocky corridors are all obstacles usually reserved for the 2018 Ford Raptor. But with an engineer riding shotgun, we were told to “drive as fast as you’re comfortable with.” Which, we don’t think we’ve ever heard before, from anybody. So we channeled our inner Larry Enticer, and just sent it up the muddy hill with full-throttle ambition. In return, the 2018 F-150 diesel churned with power and barreled up the hill like an enraged machine, rear differential in lock, transmission in four-low, and Goodyear all-terrain tires digging deep into the slippery uphill slope. Through each obstacle, the 2018 F-150 diesel demonstration delivered derivatives of delight done by its durability, dynamics, and denial to discontinue. The course showcased some rather extreme capabilities from a non-Raptor F-Series, and because of that, not only showcased what’s possible out of the best selling pickup truck on the market right now, but also raises the stock of the Raptor itself, as it is that much more extreme. 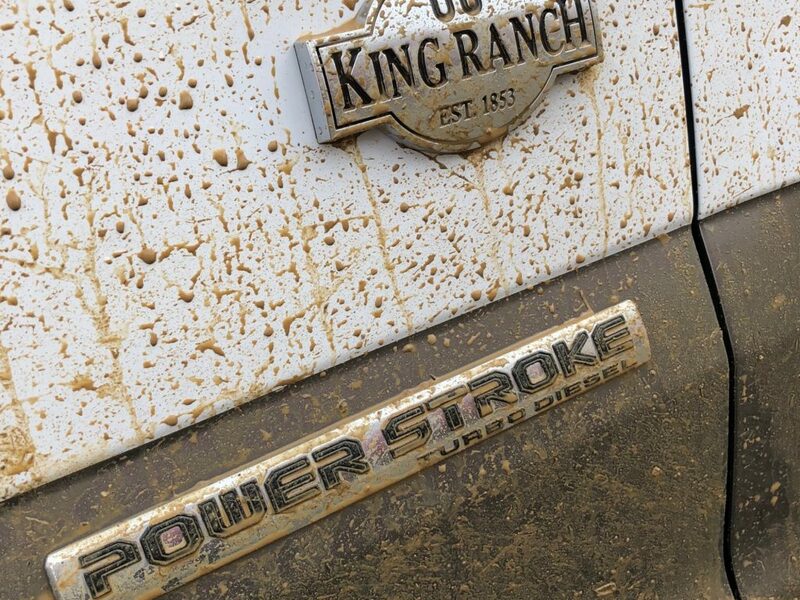 We’re just left wondering now if we’ll ever see a marriage of the F-150 Raptor and the 3.0L Power Stroke V6 engine. Suppose we’ll stay tuned. To read about towing with the 2018 F-150 diesel: click here. To read about the kind of fuel economy the 2018 F-150 diesel can deliver: click here.